Did Kylie Jenner Name Her Baby Butterfly? 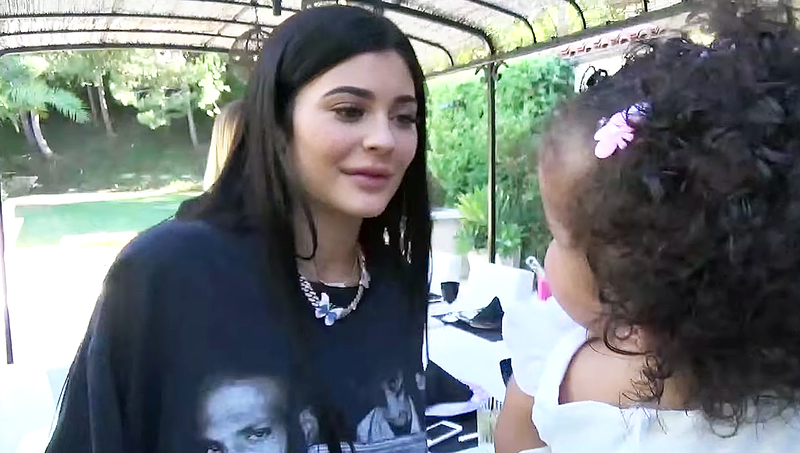 Did Kylie Jenner Name Her Newborn Daughter Butterfly? Kylie Jenner’s fans are convinced that she named her newborn daughter Butterfly after the reality star dropped a series of possible hints on social media. The 20-year-old is seen wearing a butterfly necklace in one scene of the 11-minute video she shared on YouTube on Sunday, February 4, to announce the birth of her first child with her boyfriend, Travis Scott. Later in the sweet video, she shows off her newborn’s nursery, which is decorated with a bunch of colorful butterflies on the wall. At one point, the camera even zooms in on a children’s book that features a butterfly on its cover. The potential clues date back several months. In June 2017, Jenner and Scott, 25, got matching butterfly tattoos just above their ankles, possibly a nod to the title of his song “Butterfly Effect.” She continued to express her love for the insects in November when she shared an Instagram photo of herself wearing several butterfly rings that complemented her hot-pink manicure. The Lip Kit creator and the “Goosebumps” rapper were first linked in April 2017, weeks after her split from longtime boyfriend Tyga.